Laboratory Analyzers Tobacco Industry | Quality2Process B.V. 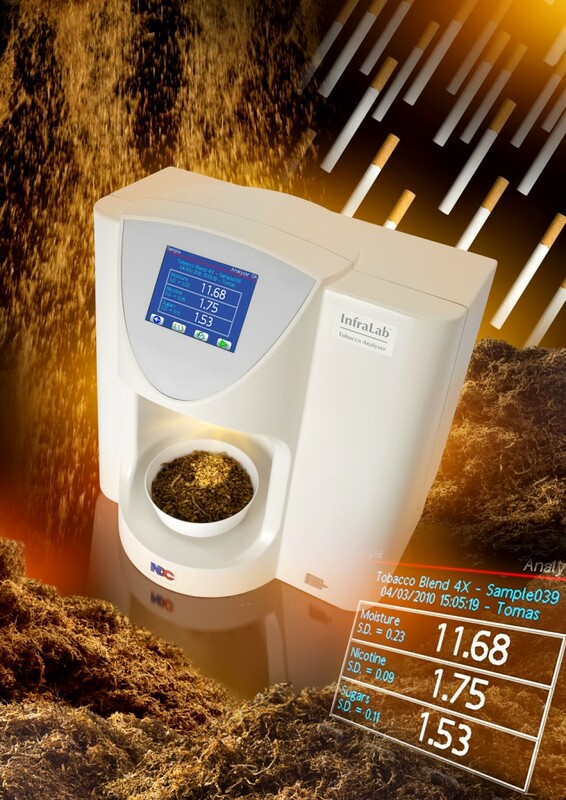 The new NDC InfraLab e-Series Tobacco NIR Measurement Systems offer an unrivalled performance with high accuracy, repeatability and stability for the At-Line or Laboratory measurement of moisture, nicotine or sugar in a wide range of applications in the Tobacco Industry. The At-Line or laboratory InfraLab e-Series Single or Multi component NIR Measurement System for continuous measurement of moisture, nicotine or sugar . Key applications: All tobacco types worldwide ( Virginia, Burley, Oriental and others). Applicable at all stages of leaf and primary processing.